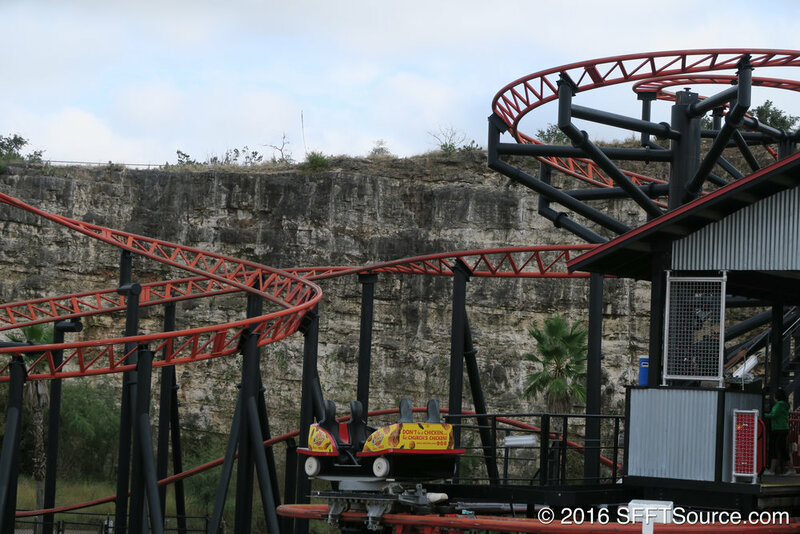 Joker’s Revenge while located on Fiesta Bay Boardwalk at Fiesta Texas. Fiesta Bay Boardwalk has had a fair amount of attractions added and removed since it's addition to the park in 1994. Previous to Pandemonium, a Vekoma Hurricane coaster named Joker's Revenge stood in the same place from 1996 to 2002 (the ride did not operate for the 2002 season). In 2003, Joker's Revenge was opened at Six Flags New Orleans and operated until the park's permanent closure in 2005. Today, the queue house for Pandemonium, though no longer fully used, is the same queue house from the days of Joker's Revenge. The original signage to Tony Hawk’s Big Spin at Fiesta Texas. 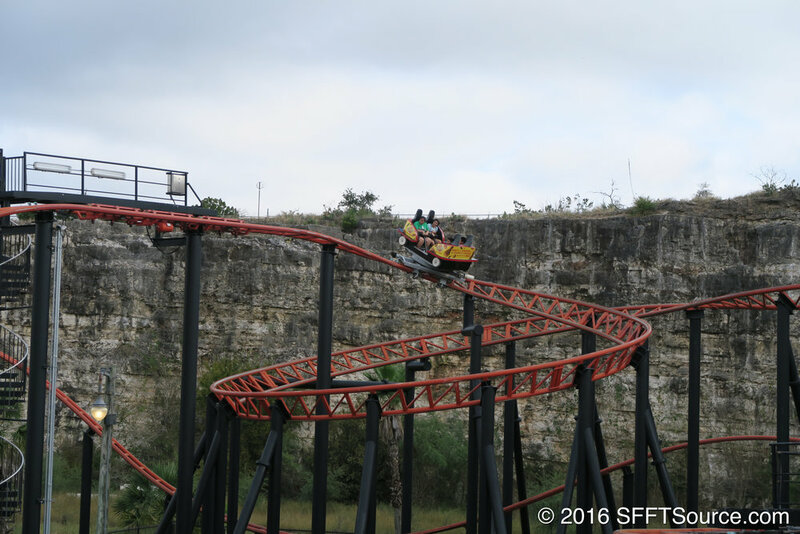 Between 2007 and 2008, Six Flags installed 4 spinning roller coasters at Fiesta Texas, Six Flags Over Texas, Discovery Kingdom, and Six Flags St. Louis. All of these attractions were painted red and black. The trains were themed around skateboards. The queue lines were also themed with TV monitors that showcased the history of the sport. 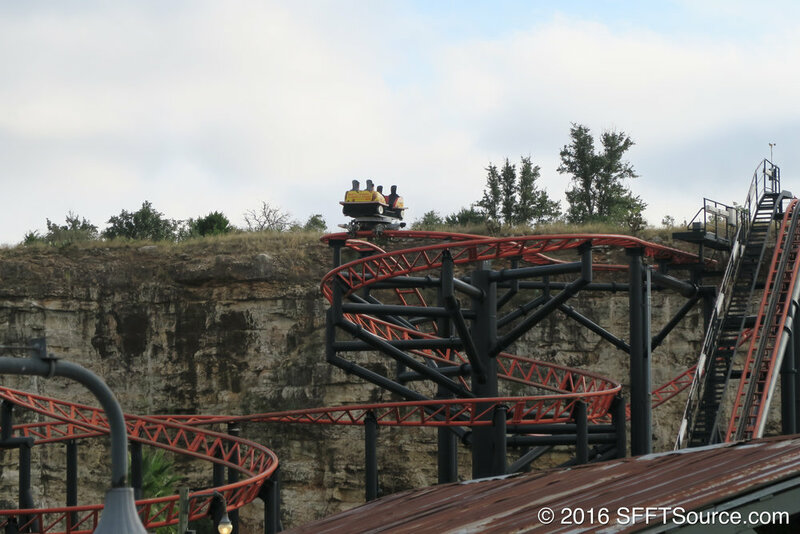 In 2010, Six Flags began cancelling licensing agreements with various brands. One of these brands was Tony Hawk. 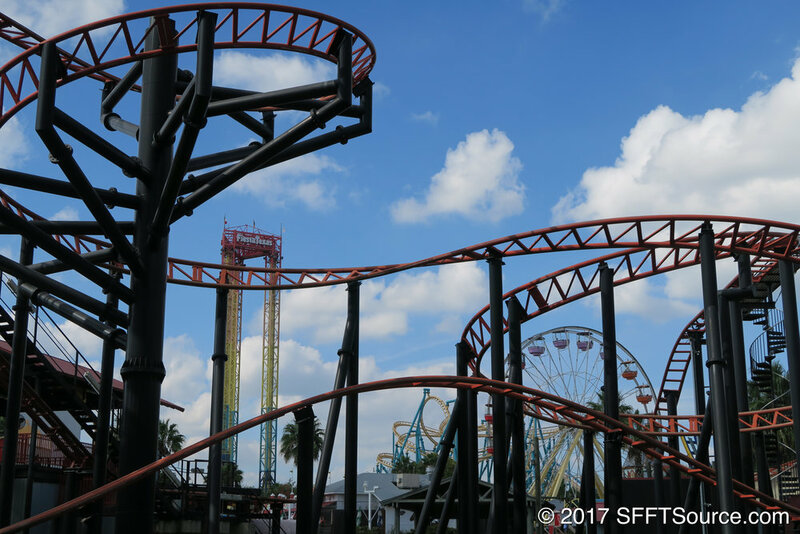 In the 2011 season, all 4 of these coasters were renamed to Pandemonium. 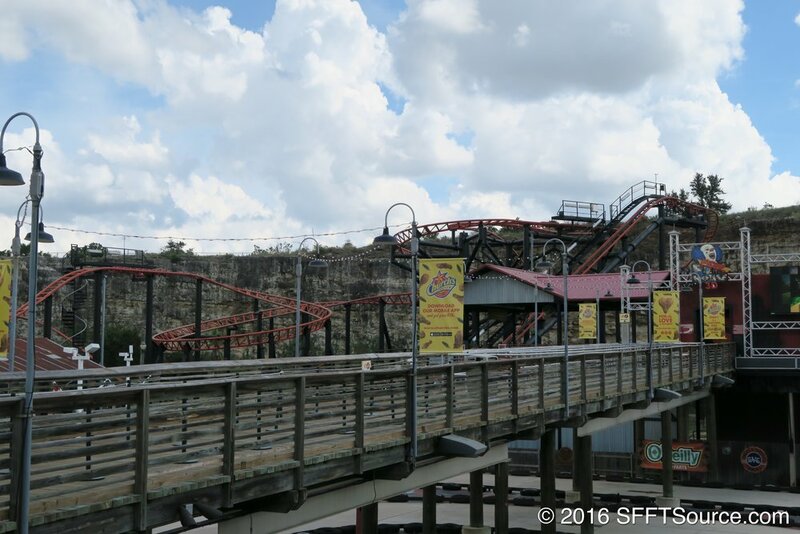 In 2012, Discovery Kingdom removed their Pandemonium coaster. However, the ride was moved to Six Flags Mexico and renamed The Joker. Tony Hawk’s Big Spin is renamed Pandemonium.